Opalescence Boost is a 40% power whitening gel for medical in-office use only. 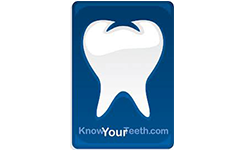 It is applied by the dentist for whitening one or more teeth, parts of a tooth, and/ or for accelerated chairside whitening techniques. Opalescense Boost is also used on nonvital (root canal treated) teeth, including in-office intracoronal bleaching. Opalescence Boost is an alternative conservative method for treating dar, internally discolored teeth (compared to crowns, veneers, etc.) caused by disease, injury or medical treatment such as congenital, systemic, metabolic, pharmacologice, traumatic, or iatrogenic factors such as dental fluorosis, jaundice, tetracycline, adult minocycline stains, porphyria, trama, and erythroblastosis fetalis. Opalescence Boost can be used alone or in conjuction with other Opalescence tooth whitening treatments. Because restorative materials will not whiten, we recommend that teeth are whitened prior to placing esthetic restorations. (Wait two weeks after bleaching procedures before placing adhesive restorations.) 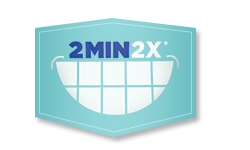 Our experience shows that most treated teeth continue to whiten 12 to 24 hours after whitening treatment is completed. Bleaching problematic teeth to a more natural shade will optimize restorative shade matching.